In the spring of 2001, a diverse group of Americans gathered in Baton Rouge, Louisiana for a three-day environmental conference. These men and women, mostly from low-income neighborhoods and communities of color, traveled from urban housing projects and suburban neighborhoods -- from the bayous of Louisiana, the coalfields of West Virginia, and the deserts of Southern California. They came from abandoned mining towns in Idaho, agrarian regions of the South, and traditional Native American villages in New Mexico. Sadly, many of these Americans were coming to Baton Rouge as witnesses to report stories of corrupt governmental officials trading their communities' rights to clean air, water, and land for corporate payoffs and political favors. The Baton Rouge conference was organized for two reasons. One was to unite these heroines and heroes of modern America -- those who are working to free future generations from the environmental degradation that has cast shadows on their lives. The other was to introduce a new tool into their strategic plans for restoration and prevention -- a concept that could help them reclaim their democratic right to a clean environment and enable them to build economically sustainable and environmentally friendly community infrastructures. 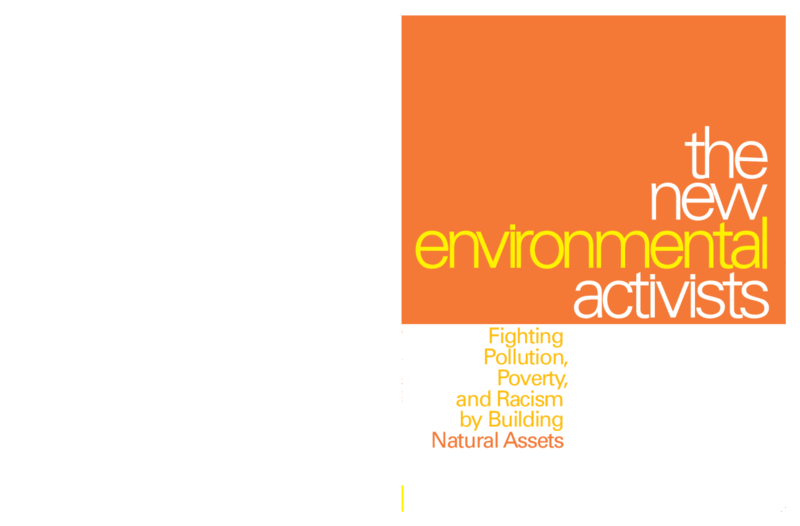 This new tool is the natural assets movement, a radical notion that seeks to simultaneously reduce poverty and protect the environment. This new movement is predicated on the notion that poor communities and communities of color have wrongly been blamed for the environmental degradation plaguing their urban or rural settings. Rather than viewing the environment through a human vs. nature lens, natural-asset-buiding strategies regard the problem as human vs. human, and in many cases, as wealthy humans vs. poor humans. Since the rise of industrialization, government officials and corporations have often viewed economically poor communities and communities of color as politically and economically weak and therefore easy prey. For three decades, the environmental justice movement has argued that the disproportionate siting of hazards in communities of color and poor neighborhoods reflects a cold-hearted calculation based on the unlikelihood of effective resistance by residents. Through the lens of natural-assets-building, the potential strength of resistance a community can offer may be measured by the level of assets, or capital, it can use in its defense. Communities with less economic or political power are learning how to strengthen their "social capital" -- their bonds with each other and bridges to others -- by organizing effective strategies in large numbers. Copyright 2003 Political Economy Research Institute. This document may be freely reproduced, in whole or in part, provided that the original source is acknowledged.